I am beyond excited about today's giveaway. Maria Allen has stunning, timeless, vintage-inspired pieces that are swoon-worthy. 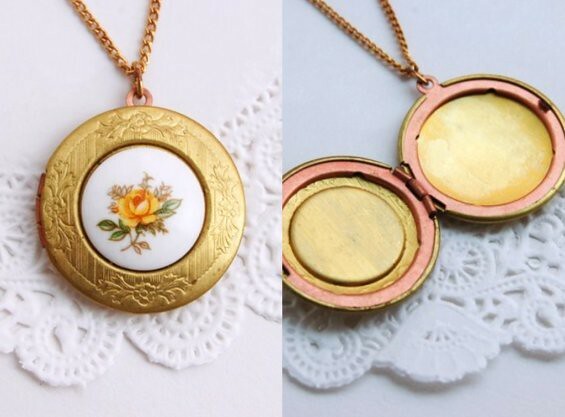 I chose the yellow rose locket because it may be the sweetest, prettiest necklace I've ever seen. Not to mention it's a locket, which makes it about a thousand times cooler. To win, leave a comment by Friday, June 4. I will email the winner so make sure your email address is easily accessible. As always, feel free to tweet or blog about this giveaway for extra entries.